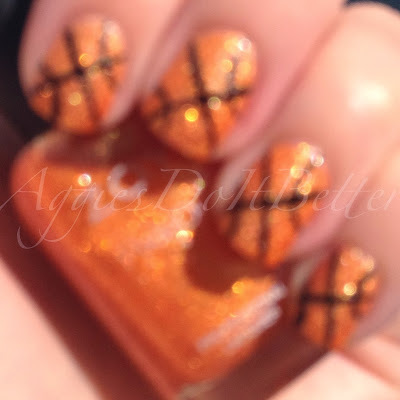 Aggies Do It Better: March Madness textured basketball nails! Hey guys! Thanks for sticking with me through all the green! I promise I'll take a break from them for a while :) Today the March Madness tournament starts! 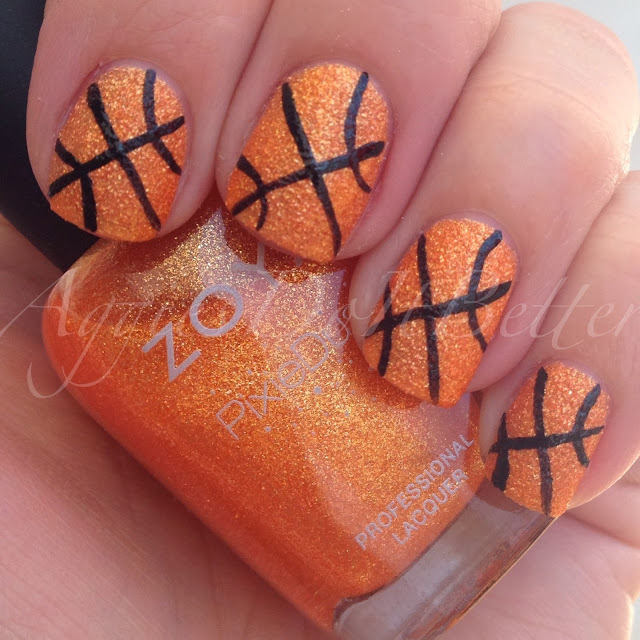 Who's in to basketball?? Um.....not me. I'm a football girl all the way! 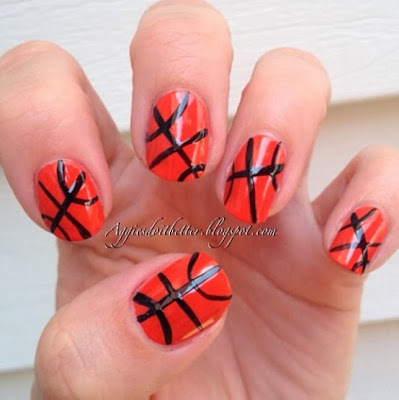 But I still wanted to redo my original basketball nails I did last year, when I first started getting into nail art. Those are at the bottom of this post, from September 2013. I remember not totally hating them, which I did of most of my early work. Here's a super short little video clip to show the sparklies! 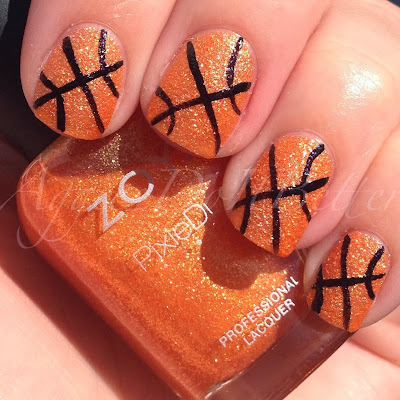 Here are my original basketball nails. Not terrible, right? But I don't know what I was thinking holding my hand like I'm about to claw your eyes out. RAWR!